Crinum thaianum, the largest out of all the three Crinum species in the aquarium hobby. Is a found in South-East area around Thailand. 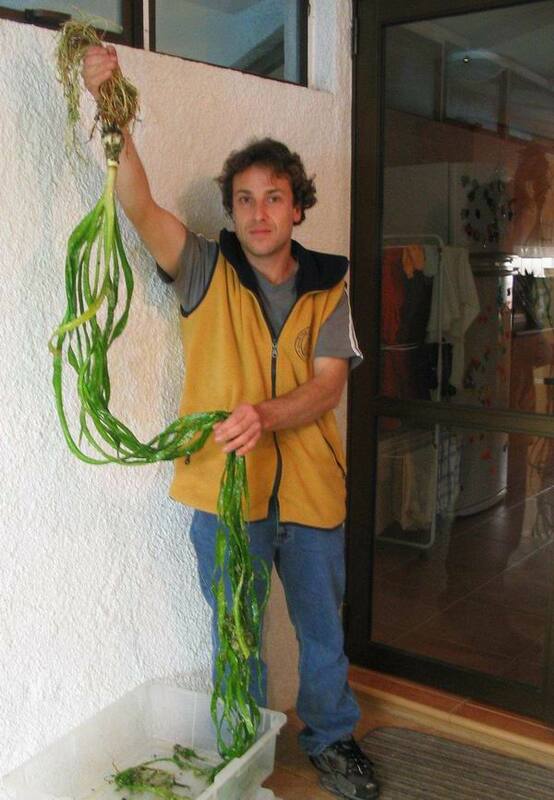 This Crinum can grow over 2m long and can easily take over the entire tank if given a nutrients rich substrate. Co2 injection and not required to grow this species of Crinum. But it is recommended to add co2 to increase growth and to encourage the plant to produce daughter plants. The Crinum thaianum like all Crinums require a rich nutrients substrate, these guys are heavy feeders so root tablets should be inserted around the tank as the root system is huge. Lighting isn't an issue with the thaianum, it will grow well in low lighting and will increase the rate of growth with higher lighting. The leaves of the thaianum is straight and wide. The leaves are moderately hard so most herbivorous inhabitants will not be able to damage the leaves. When planting this large growing specimen, it is advised to pick a well spaced out location and evenly spread the roots in the soil. Once established, this species will grow longer leaves and the bulb size will increase. If the leaves get too long, you can trim back the leaves to a desired length. Propagation of the Crinum thaianum is similar to calamistratum. You can cut the leaves off to encourage new bulbs to develop around the base, or you can self pollinate the flowers to produce which will fall into the tank and new plants will emerge. Remember, this species is the largest out of the Crinums in the hobby, so please take consideration of this before adding to your tank. If you plan to uproot any of the Crinums, you will damage the root system and uproot everything else in the tank.